Old humidors that have already been sent to Daniel Marshall. Do you remember Cash For Clunkers? It was the government cash rebate program that allowed you to trade in your old, broken-down gas guzzler for money towards a better, more fuel-efficient vehicle. Daniel Marshall is doing the same thing for your old, junky humidors. The high-end humidor maker knows that a bad humidor is one of the worst things for your cigars, so he’s giving a limited number of customers the opportunity trade in any humidor and receive a $100 voucher and complimentary UPS shipping label to mail in their clunker to Daniel Marshall. The voucher can be redeemed for one of three Daniel Marshall humidors. Marshall said that he’s received more than 150 old humidors so far and added that he’s donating them to homeless shelters around Los Angeles to be repurposed as hope chests. Daniel Marshall is one of the top humidor producers in the industry. 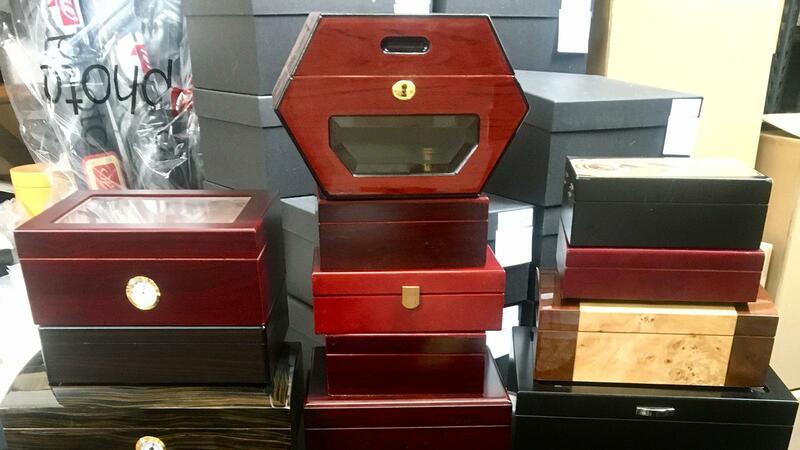 His humidors have rated exceptionally well in Cigar Aficionado humidification testing trials.